Welcome to our online shop T-shirts. 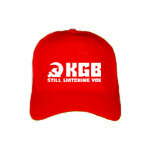 CCCP-Shirts.Com - largest selection of Russian T-shirts. Buying from us - you get excellent quality products. T-shirt is made of 100% cotton. T-shirt is available in different sizes from S up XXL. With the idea of your improvement our T-shirts are produced to you. The Russian Bear - soulless killing machine T-shirt - here is your t-shirt. Click on the T-shirt and enlarge the image of this t-shirt.